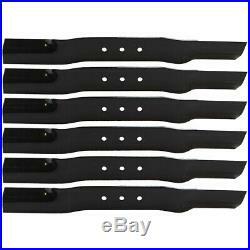 6pk Oregon Mulching Blade Swisher T-60 Trail Behind Finish Mower 20186 9037 3293. 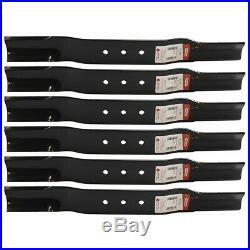 Set of 6 Oregon Mulching Blade Replaces OEM Part Numbers: Swisher 20186, 3293, 9004, 9037. Genuine Oregon Product Replaces OEM Part Numbers: Swisher 20186, 3293, 9004, 9037. Fits: Swisher T-60 60 Deck Finish Trail Mowers. Requires 3 blades for 60 deck. Superior mulching for bagging and discharge efficiency. The item "6pk Oregon Mulching Blade Swisher T-60 Trail Behind Finish Mower 20186 9037 3293" is in sale since Tuesday, March 19, 2019.